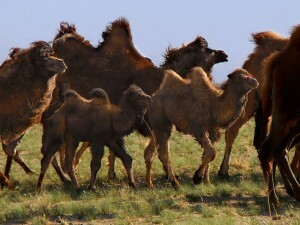 This epic journey into the timeless landscapes of the Gobi desert and beyond, to meet with nomadic herders was conducted in May and June of 2016. 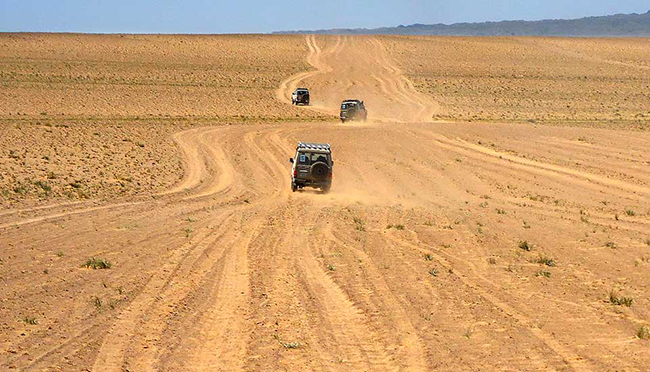 JoMarie Fecci, of USnomads, joined a small international team for a 1,400 mile working expedition led by Overland Experts founder Bruce Elfstrom. 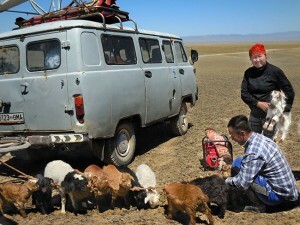 The goal of the expedition was to provide support for The Mongolian Bankhar Dog Project (MBDP), an NGO which aims to help save a way of life for the nomadic herders in the Gobi desert while simultaneously protecting a fragile environment. 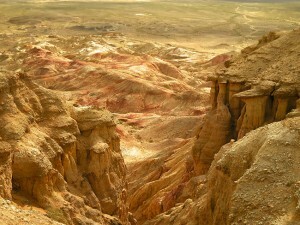 The route was a loop deep into the south Gobi then west into the Altai mountains and back north to Kharkhorin before returning east to Ulaanbaatar. Click the links below to see a detailed report for each location, with maps and regional information.